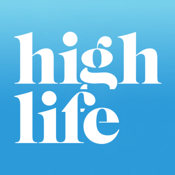 High Life magazine is the monthly inflight magazine for British Airways. 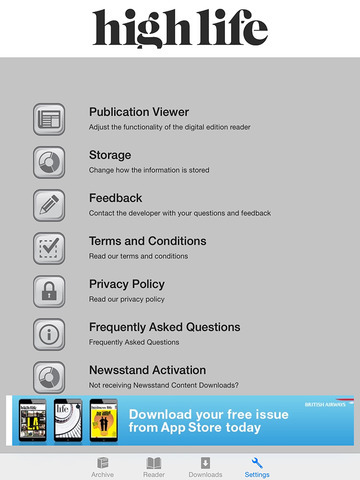 You can now read every new issue FREE on your iPad! The magazine was one of the first lifestyle travel magazines to be launched in Britain – 20 years ahead of the competition. Each issue is packed full of exciting and inspirational news and features about intriguing destinations around the world and the latest travel trends. With high-profile contributors including BBC World Affairs editor John Simpson, Tracey Emin, Michael Palin and Heston Blumenthal, and stunning imagery by some of the best photographers in the world such as Rankin, the magazine aims to surprise and engage readers by bringing every experience alive. For more information about British Airways High Life magazine, visit bahighlife.com.